Would you like to make life long friendships from across Canada? Do you want to be part of a unique experience? Want a chance to showcase your inner beauty? Interested in volunteering in your community? Would you like to be part of something positive, meaningful and rewarding? 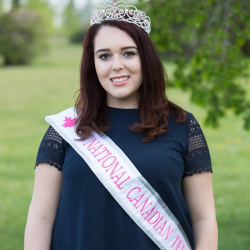 Under the leadership of Director Kali-Ann, the National Canadian Pageant priorities include a positive pageant experience, an emphasis on volunteerism, and an opportunity for our National Titleholders to compete internationally. Whether you are new to pageants or experienced, you can become a national titleholder, just by being you!! We have age categories from toddler to adult (ages 2 – 50) Moms and daughters, sisters or friends can compete together and share this amazing experience! This is a fair, unbiased, professional, all natural pageant format. No pageant coaching is required. 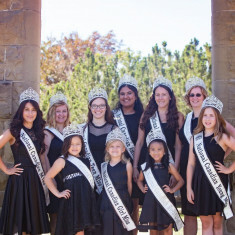 Our pageants incorporate fun, community service, interviews, rehearsals, on-stage pageantry experience and sisterhood. Our delegates support each other, and form life-time friendships. 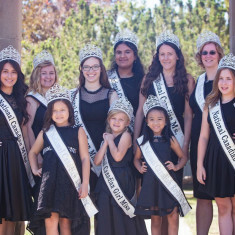 Titleholders from across Canada come together each summer for the National Canadian Pageant. This is an experience not just a competition. Delegates have fun, get to know other titleholders, and participate in the National Canadian Pageant where our new National Royal Court will be crowned. 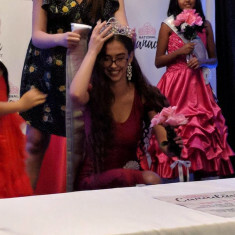 In addition to a professional pageant experience, Nationals includes a photoshoot, themed parties, a group volunteer activity, a fun field-trip day filled with volunteering, activities, appearances, and shopping! There is also an awards banquet, and workshops! Delegates are scored on their volunteerism and involvement in events/activities in their community, their participation during Nationals, having a positive attitude, their stage presence, the confidence they show while on stage as well as an interview. They compete in evening gown, fun fashion, on-stage introduction and an on-stage question. National Titleholders receive a National Crown, Sash, prizes, scholarships, a limo ride with a photoshoot, gifts throughout their one year reign, and the opportunity to compete at an international pageant.